Zhou Xun: Perhaps Love: Striking a sure note ! With four heart-throbs, Broadway-style songs and dances, exciting circus performances and spectacular sets, Perhaps Love has a lot going for it, writes SHARON WONG. There’s a buzz in town and it’s all about the latest Chinese blockbuster, Perhaps Love. Not only is it touted as an intense romance musical (there hasn’t been a musical in the Chinese film industry for 35 years), it also has such big names as producer Andre Morgan, Oscar-winning cinematographer Peter Pau, Bollywood’s hottest choreographer Farah Khan and multiple award-winning Hong Kong director Peter Chan at the helm. And that’s not all. Perhaps Love was the closing film in this year’s Venice Film Festival and is Hong Kong’s official entry for the 78th Academy Awards’ Best Foreign Language Film. It also has a stellar cast from four regions, comprising Hong Kong’s God of Songs, Jacky Cheung, Japanese-Taiwanese heart-throb Takeshi Kaneshiro, China’s Zhou Xun and South Korea’s Ji Hin-hee. Throw in the fact that it is a kaleidoscope of spectacular set designs, breathtaking circus performances and mesmerising Broadway-style song and dance numbers, do you wonder why people are sitting up and taking notice? As the advance guard of the film’s promotional activities, director Chan was in town last week to satisfy some of the curiosity the film has generated. “I wouldn’t say that Perhaps Love is a 100 per cent musical,” he said. According to Chan, only 30 per cent of the movie is musical while the rest is still a love story. The musical part has been played up to draw people back to the cinemas. Chan said that it is indeed sad that most people these days prefer to watch movies through VCDs or DVDs at home, over the Internet or even on the handphone. “It is only when there is a mega blockbuster, usually an action or wushu film, that people will flock to the cinemas,” he said. Although Chan’s forte lies in filming love stories — he gave the audience such blockbusters as Comrades, Almost a Love Story, which garnered nine awards including Best Film and Best Director (Hong Kong Film Festival in 1997) and He’s a Woman, She’s a Man (Directors Guild of Hong Kong in 1994), which also won Best Film and Best Director — he admitted that he knew nothing about musicals and was initially intimidated by the idea of directing one. But he rose to the challenge. “I was very insecure but it was interesting as we did not know what’s going to happen and our excitement and energy exploded on the screen. Shot in Beijing and Shanghai, the film is a US$10 million (RM38 million) production told in a movie-within-a-movie, featuring a love triangle. Jealousy, hatred and passion ignited by memories of the past collide and culminate through the intervention of a seasoned muse, a modern-day Cupid, who shares their joy and sorrow. Besides the powerful talking point of Perhaps Love being a musical, another major attraction is definitely the cast and where Cheung, Kaneshiro and Zhou are concerned, Chan said that they were his first choice from the start. “I wanted Zhou Xun for the female lead because she is a very likeable person and the character is not,” Chan said. 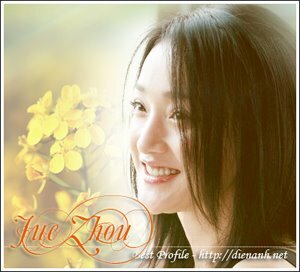 “Zhou is very affecting and I’m sure she will be able to make people cry. “Takeshi is the only actor who is the right age and who looks naive enough to be addicted to one woman for 10 years. His eyes are very painful and he’s perfect for the role. Chan revealed that initially, Andy Lau was his choice for the role of the muse but he was unable to make it due to contract problems. Chan finally settled on South Korea’s fast rising heart-throb Ji Hin-hee and fine-tuned the script to fit him in. With a great cast and crew, anticipation is high for the release of Perhaps Love. And now, here’s a chance for fans to rub shoulders with some of the stars when they come here in conjunction with the movie’s release. Chan will return together with Kaneshiro, Zhou Xun and Ji to meet fans at the Esplanade, KLCC Park, on Dec 3 at 5pm. A series of related contests will be held via Astro and www.gsc.com.my and winners can expect an exclusive lunch date with the stars, attend the premiere of the movie on Dec 7, as well as get other movie passes and exclusive movie merchandise. Perhaps Love, which is funded by Astro Shaw, with worldwide distribution by Celestial Pictures, opens on Dec 8 at Golden Screen cinemas.